The Weekly Review - 50: Fifty! Jean and James celebrate their 50th episode by actually doing full weekly reviews. 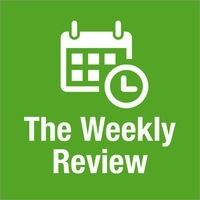 The discussion includes recommiting to doing full weekly reviews and techniques to help get back on track. In a celebratory mood, the conversation ranges from including a review of your lofty goals in a weekly review, to some behind-the-scenes podcast production revelations, to dealing with pet poop.